Blackmagic Design’s new Micro Studio Camera 4K may be similar in size to a tennis ball and barely tips the scales at 11 ounces, but don’t let that fool you – It packs a powerful punch! As a movie buff, the scene from an Austin Powers movie comes to mind, where Mini Me was ﬁrst introduced as: “Exactly like you (Dr. Evil) in every way; except one-eighth your size! 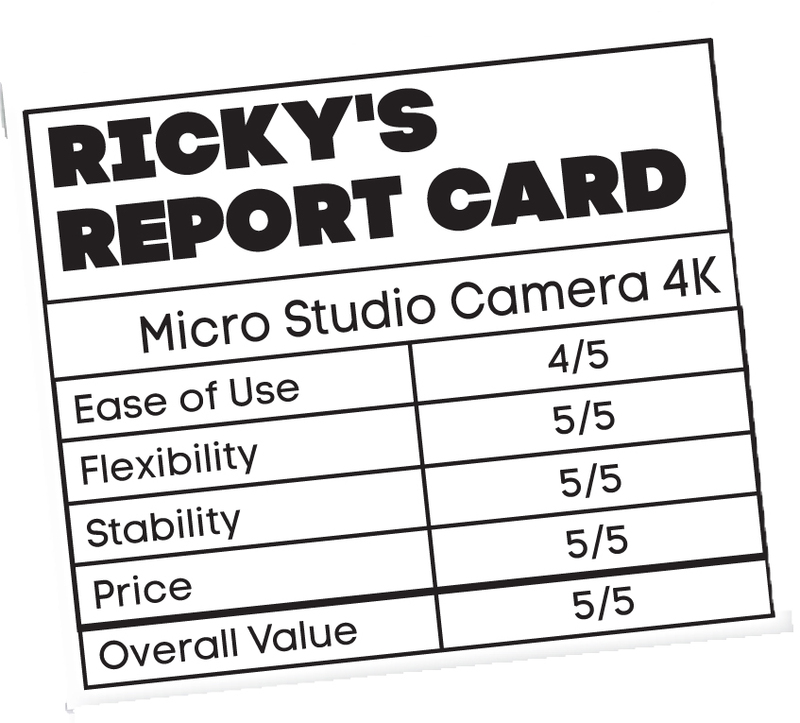 That may be true with Dr. Evil’s clone, but a closer look at this Micro Studio Camera and you realize there’s something more to this little guy. 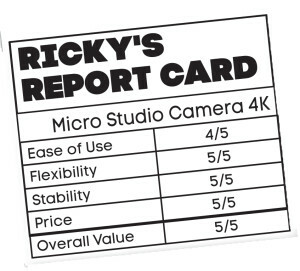 Since my review of the original Blackmagic Studio Camera HD for this very publication 18 months ago, and the corresponding video review on YouTube, my phone has been ringing off the hook, inbox cluttered, and social media jammed from people literally all over the world asking questions about that camera. As a systems integrator, it quickly became our number one selling product to install in houses of worship and small studios around the country. Why is that? Though it’s far from perfect, it struck a chord with people who were on a budget and wanted more bang for the buck. It was unconventional. It was unique. It was affordable. Let’s face it, Blackmagic did get a lot of stuff right with its ﬁrst-generation of studio cameras both HD and 4K, but it also knew it got several things wrong; and in my opinion this product release is an attempt to remedy some of those issues. 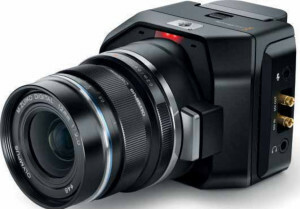 Yes, the new Blackmagic Micro Studio Camera is small and at ﬁrst glance you see the similarities of its big brothers. When we unboxed it and put it in our hands, we couldn’t help but notice how solid and well-built it felt; truly a surprise for being such a lightweight camera. It has a built-in stereo microphone and a removable battery utilizing the standard Canon LP-E6 rechargeable, with approximately 60 minutes of recording time. It features an MFT lens mount, and since MFT is an open standard, adapting to different types of lenses such as B4 for broadcast, PL, EF or other types of photography lenses is quite simple. Not only does it handle the gambit of high deﬁnition resolutions up to 1080p at 60fps, but it can also shoot 4K Ultra HD right out of the box. This camera is made for live events so it does not have built-in recording capabilities. It’s perfectly designed to ﬁ t in small spaces or hard to reach places without the need of an operator, so it does not have a built-in monitor. However, if you prefer the option to manually operate it, various video connections make it easy to attach an external monitor; such as the new Blackmagic Video Assist – a 5” HD monitor with a built-in SD card slot for recording. The camera itself has an SDI out, SDI in, and a simultaneous HDMI output for an external monitor. Blackmagic has made great strides developing a wide range of products that work well within their ecosystem, and the Micro Studio Camera 4K is no exception, featuring seamless integration with their ATEM family of switchers, including Camera Control. Not only does it bring tally, program monitor, talkback, CCU control, camera settings, and the ability to color correct remotely using the ATEM’s included DaVinci Resolve primary color corrector, but the Micro Studio goes a step further with its DB-HD15 expansion port and several exciting features. The included breakout cable lets you access common connections such as camera power, genlock, LANC, B4 communication which ﬁnally allows the camera to power and communicate with a B4 lens, Futaba’s S. Bus Digital Servo – a digital radio-controlled system that can control servos to adjust things like iris, focus, and servo zoom. Last but not least, it also offers PTZ control which uses RS-485 protocol to control pan, tilt and zoom directly from the ATEM software to compatible motorized heads. By supporting so many protocols within the updated ATEM software and new Micro Studio Camera, plus utilizing a simple DB-HD15 port, Blackmagic is telling customers how easy it is to solder their own breakout cables to take full advantage of each and every feature. The camera is well-built, the 4K images are crisp, the features are plenty, the customization is unmatched, the price is hard to beat, and the user experience is anything but traditional when it comes to live production, but somehow it works and it works well. Whether you’re looking to add cameras to your existing system by mounting these little guys up in the ceiling, around the stage, across the room, on a track, on a jib, or maybe you want to fully accessorize them to create the smallest, most cost-effective, fully-customizable 4K studio camera in the world, I don’t think you’ll be disappointed. Ricky Perinchief is a 2-time Emmy® Award-winner with over 15 years’ experience in broadcast television and corporate branding. He owns Proton Global Media Group and oversees technology for his father’s ministry, NOW Church in Ocala, Florida.